Welcome to our website and to our practice! Women have unique healthcare needs and those needs change throughout a woman’s lifetime. We offer comprehensive services to women of all ages. Our goal is to provide the highest quality gynecologic care and women’s health services. 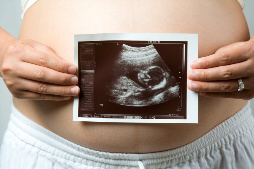 Whether you are having your first baby or you are an experienced mom, being pregnant is an exciting time. Our goal is to assist women and their partners in achieving a happy and safe pregnancy and delivery. Ready, Set, Pause! Big changes are happening, or perhaps you’ve already experienced menopause and are wondering what to do next. Now is a great time to make healthy changes in your life. 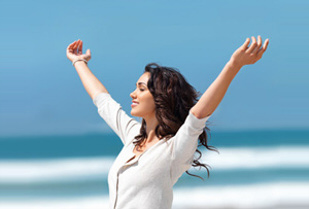 We are here to guide you and keep you healthy as you enter this new stage of life. ePrescribing is Here! We have just upgraded our electronic medical records system and can now send precriptions electronically. The software can check to make sure that there are no interactions with your other medications. The pharmacy gets the prescription in an average of 1-5 minutes. Faster and safer! Free Mammograms for the Uninsured If you are a current patient of Dr. Sato and have lost your medical insurance but are due for a Mammogram, we may be able to get you a FREE MAMMOGRAM. In Vitro Fertilization (IVF) Opportunity A new infertility research study is being conducted in Hawaii. This is a great opportunity for patients who are having trouble getting pregnant, who want to do IVF, but whose insurance will not cover the procedure. If you are eligible to participate, the study covers most of the cost of the procedure. You must be age 35-42, have normal monthly menses, weigh > 110 lbs and have a BMI < 33, be a non-smoker, and have no major medical problems. If you are a current patient of Dr. Sato and would like to know more, please contact us. We are unable to make any referrals if you are not a patient. Our PATIENT PORTAL is now open! Saturdays always book up fast so if you absolutely need a Saturday appointment, be sure to call in advance. August is a busy month for us. We see a lot of college-age patients during the summer. If you are due for an exam and are returning to college soon, call ahead of time to make your appointment. Don’t wait until the week before you are leaving. The above advice is actually true for everyone. If you are leaving on vacation, or going to be out of the country for a while, don’t wait until you are just about to leave to call for an appointment. We may not be able to squeeze you in. “Squeezing” someone in to a fully booked schedule really means that we are double booking appointments. Sometimes we have last minute cancellations and it works out but if everyone shows up, we will be running behind. We will always try to squeeze you in if you are having an urgent problem, but not for routine checkups. It wouldn’t be fair to our other patients who are waiting for their turn. If you don’t like waiting, try to schedule for the first appointment of the morning or after lunch. That way, you’ll be seen first. If you have a long list of questions to ask the doctor, try to schedule for the last appointment of the morning or the last appointment of the day. We will have more time to sit and talk with you if there aren’t any other patients waiting. Laboratory and Imaging Facilities in the same building! We are also adjacent to the Queens Medical Center and Queens Women’s Health Center. Parking is available at our building.